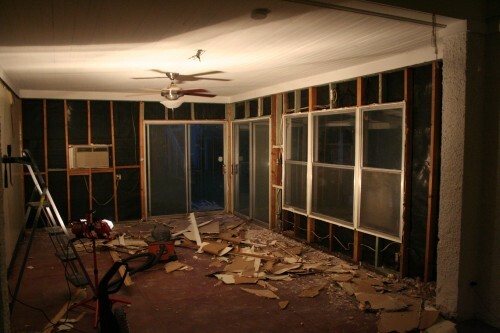 So, here are the pictures of the den remodel in progress. 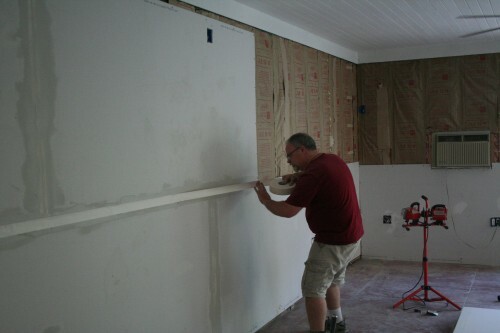 We were very happy to have the help of a friend of Kelly for the heavy lifting when it came to the drywall. 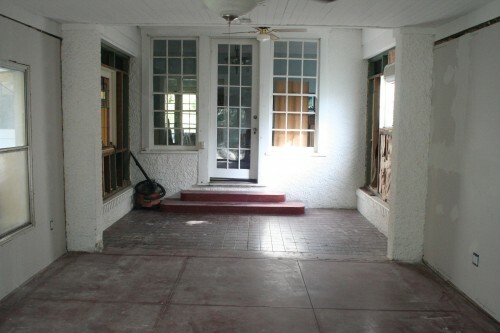 They hustled the day before the carpet installation was scheduled and got a ton finished. 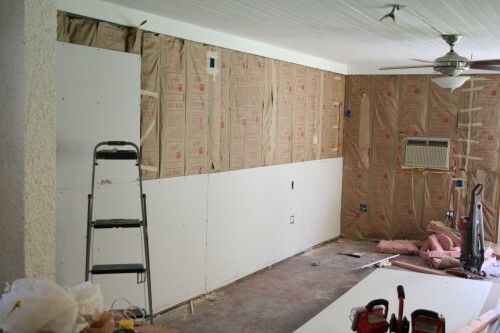 All the drywall down, in the light of day, revealing a disaster area! 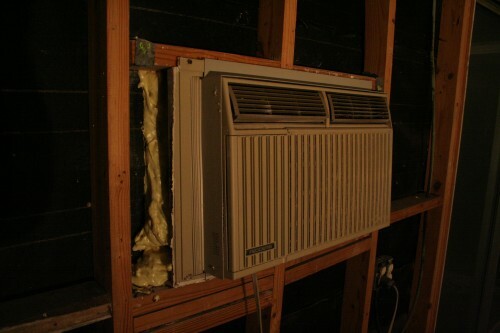 Spray foam insulation around the air conditioning unit, which used to be open to the outside! 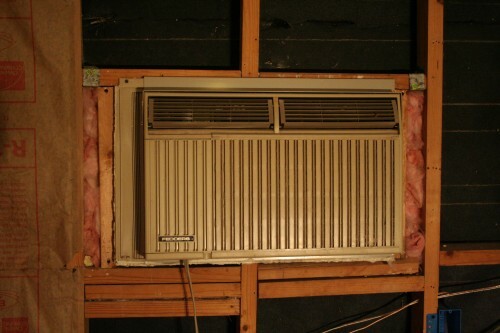 More insulation around the A/C unit. Hooray for friends that come over to help. Thanks, Rob! 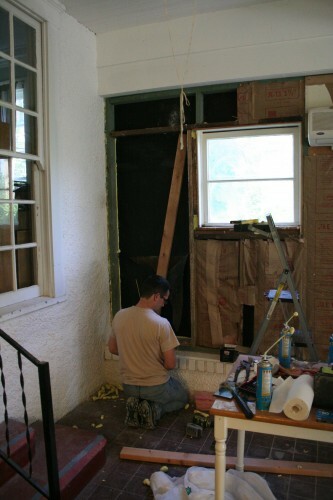 Some areas needed to have further 2×4 braces added in because the areas were too wide for the insulation. 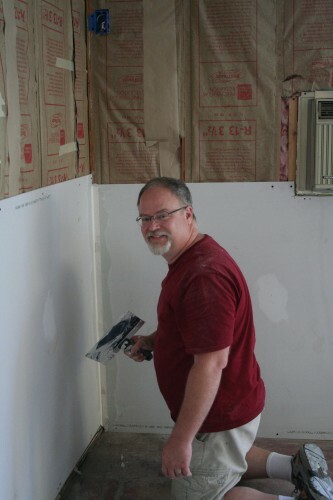 Friends are needed for the heavy drywall part of the renovation. 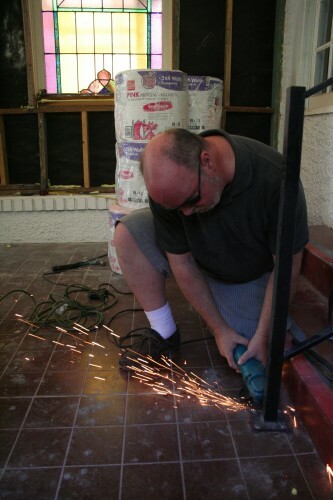 Skip came to help and he got to work removing the metal stair rail. 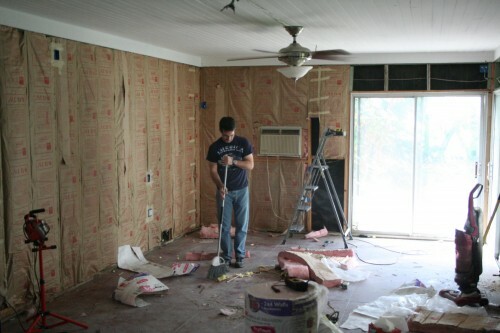 They worked like crazy that Sunday because the carpet installers were coming on Monday. 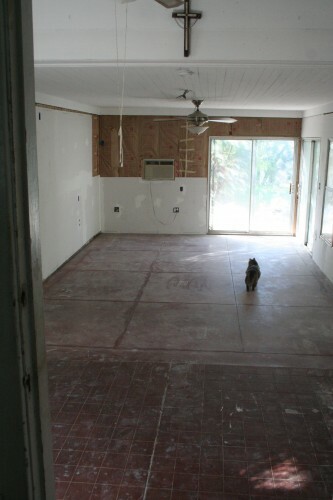 Here is the cat inspecting the room. 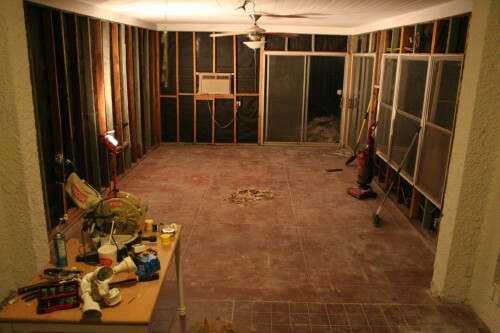 Here is the other side of the room, ready for carpet. 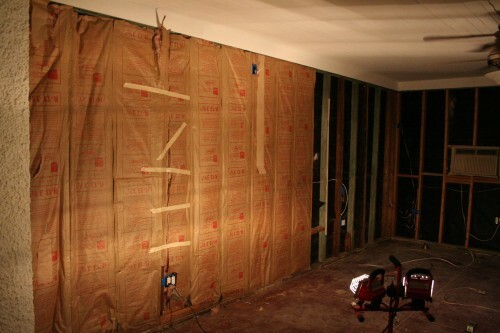 They only installed drywall to where it touched the floor, so that they could get what they needed to do done before the carpet people came. 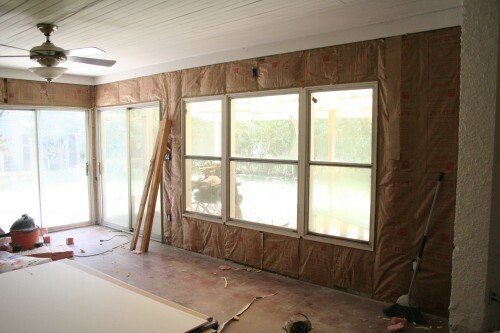 Next post: the carpet gets installed! 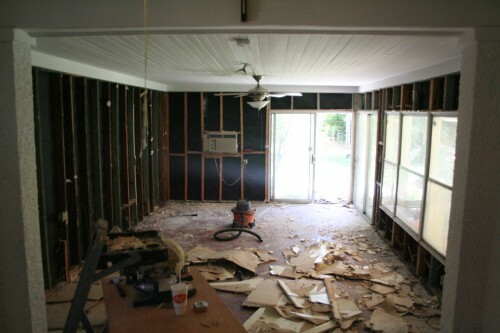 This entry was posted on Monday, August 13th, 2012 at 3:55 pmand is filed under . You can follow any responses to this entry through the RSS 2.0 feed. You can leave a response, or trackback from your own site.